The sacrament of Holy Orders has been passed down from Christ, to the apostles, through the ages to the deacons, priests and bishops of today. Deacons – The permanent diaconate offers an opportunity for single and married men to respond to Christ’s calling to serve in ministry. Ascension is blessed with three permanent deacons: C. Frank Chauvin, Robert Keeney and John Marino. In St. Louis, permanent deacons receive the sacrament of Holy Orders after completing a five-year program. Transitional deacons are deacons who are transitioning into the priesthood. 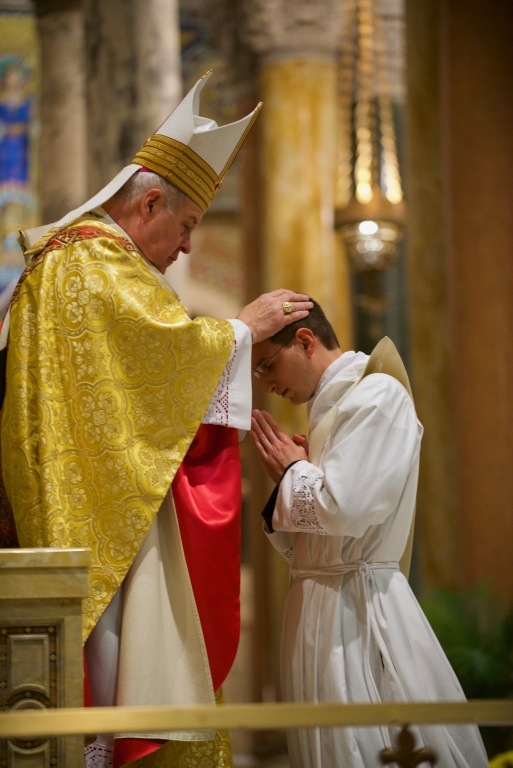 Typically, young men studying for the priesthood are ordained transitional deacons about one year before their ordination to the priesthood. These deacons spend their final year both in the seminary and serving in a parish. Deacons play an important role in assisting the priests and the parish. They may assist at Mass, administer the sacrament of Baptism, witness and bless marriages, officiate at funerals and burial services, minister at the Exposition of the Blessed Sacrament and preside at Communion liturgies where a priest is not present. Priesthood – When you think of church, you take for granted someone is there to minister and lead the flock. But have you ever thought about where priests come from? Did you ever think of asking a young man you know – perhaps a family member, friend, or even your son – if he would consider asking God about His plan for his future vocation? Our archdiocese is blessed to have a seminary right here in St. Louis – Kenrick-Glennon Seminary – for the formation of parish priests. 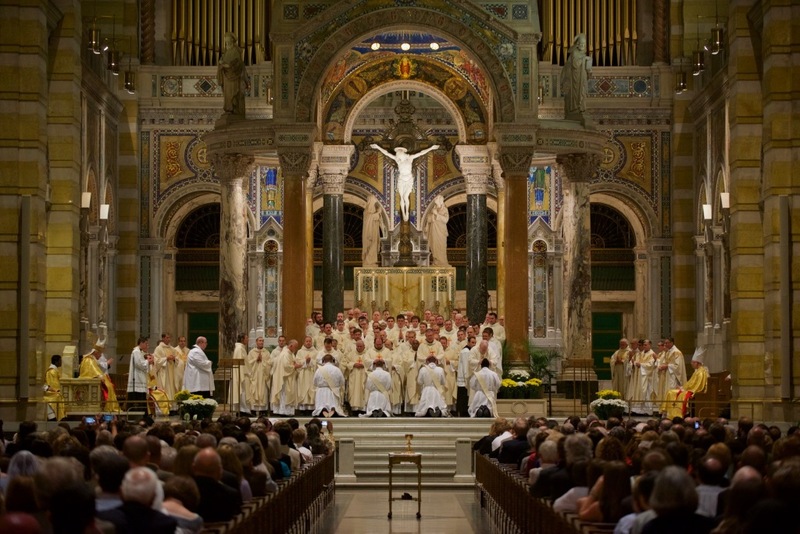 The sacrament of Holy Orders to ordain men to the priesthood is generally administered each year on Saturday of Memorial Day weekend at 10 am at the Cathedral Basilica of St. Louis (New Cathedral). All are invited and encouraged to attend this holy and beautiful celebration. Service in a parish is one form of priestly vocation. 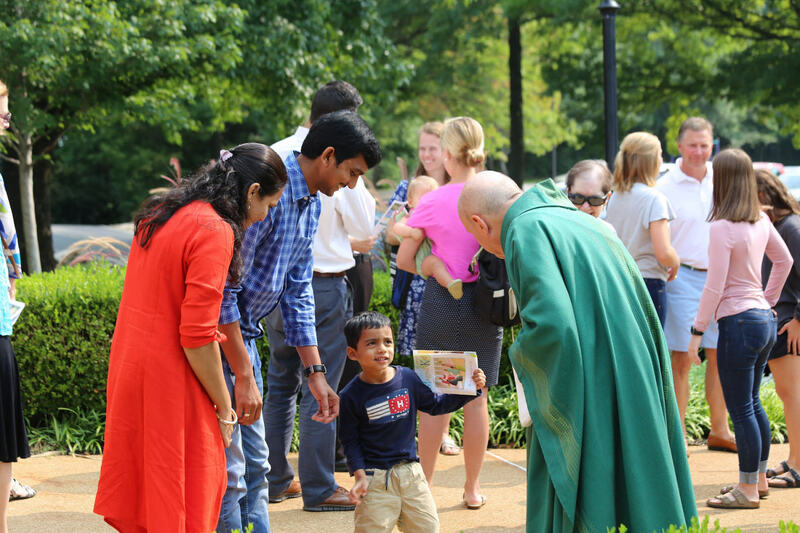 Many orders of priests also exist and serve the Lord in different ways – through education, missionary work, prayerful contemplation and other forms of service. To watch our priests, deacons, and seminarians reflect on their vocation, click here. Several times per year, our priests offer gatherings for young men interested in learning about the priesthood called St. Andrew Dinners. These events can be found on the parish calendar. If you have any questions about vocations our priests would love to hear from you. Contact the Rectory or stop a priest after Mass at any time. You can also visit the website for the Office of Vocations for the Archdiocese of St. Louis.